Change is the only constant! Everything needs a change and when it comes to businesses nothing matters more than enhanced and improved way to keep a tab on every detail (especially the moneys). With the new PayUmoney dashboard you’ll be able to just do that: grow your business with key transaction insights you need to know. For better read and convenience, we have divided this blog into two parts for: New users & Existing users. This classification will help you keep a tab on your business cashflow system – how much is coming in and how much is going out (refund). 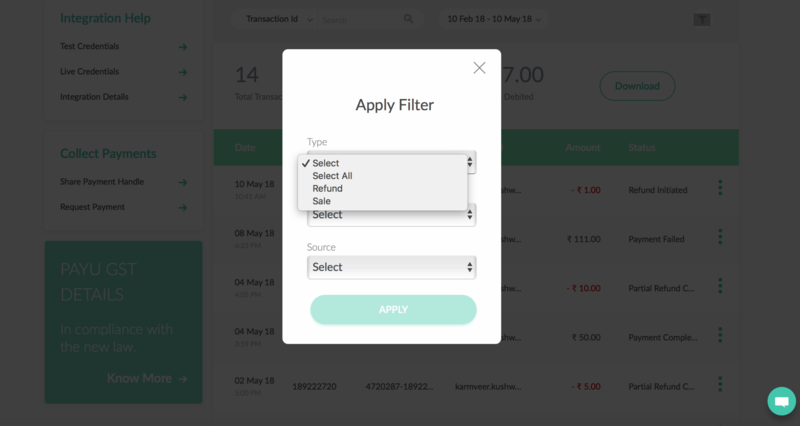 Also, once you login to PayUmoney dashboard, you can add ‘filters’ to the information that you actually want to see in the ledger view. a. Date Filter: On the PayUmoney dashboard a default date of 90 days is set automatically. You can customize this date or timeline though. Sale: This filter includes transactions which have been attempted and or are successful. The statuses included in this: Payment Successful, Settlement in Progress, Payment Complete. Refund: This filter selects all the refund payments : Refunds in Progress and Refunds Completed. c. Status Filter: “Select All” is a custom filter for status filter. 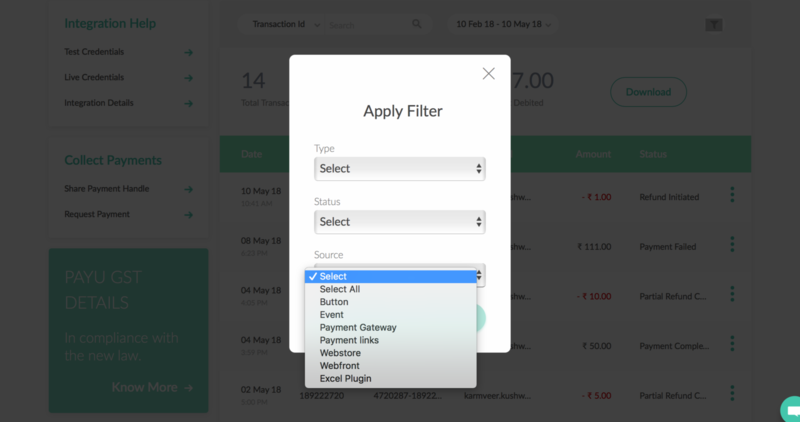 d. Source Filter: As above “Select All” is the default status set on PayUmoney dashboard. Source filters help you figure out the source of any transaction. Settlement is the process of receiving payments in your bank account. But before the payment reaches you, it passes through a simple process. You can understand the entire payment settlement process to make the most of PayUmoney dashboard. 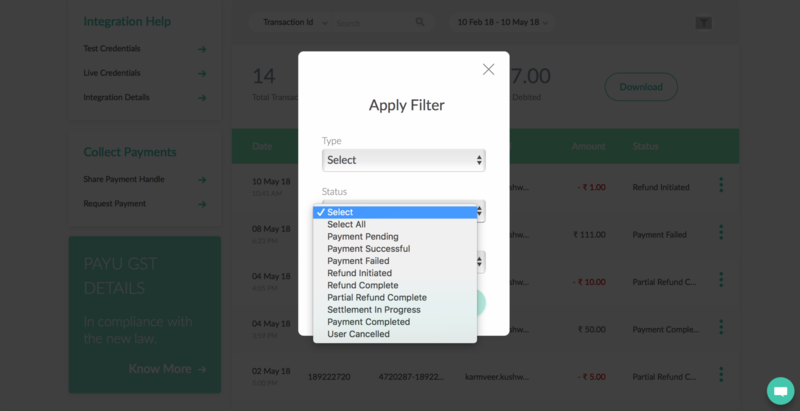 Please select Filter according to Transaction ID, Type, Date, Status & Source (as per requirement). Choose the transaction you want to refund. 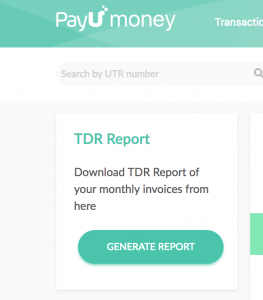 On the next page, Click on Refund button. Select Full refund/Partial Refund as per your requirement. This is the mode which enables you to test the PayUmoney payment gateway before integrating with it. Know more about Test Mode on our blog. Why wait for hours when you can get started in just 5 mins? Create your own account on PayUmoney with 100% online documentation. 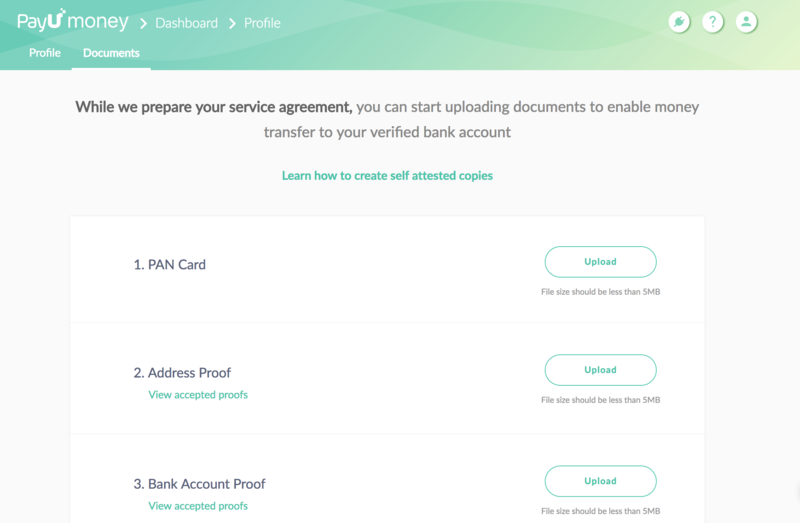 To make the onboarding process simple, we have introduced an online documentation process wherein, you just scan and upload documents to share them with us. So now, simply breeze through the processes and focus more on growing your business. 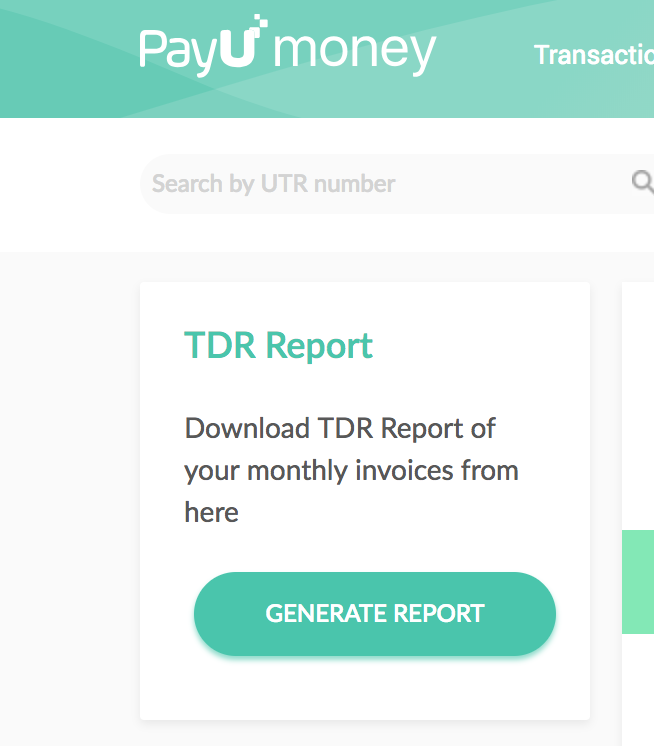 After a drilled down research, we revamped the Integration guide (developer documentation) in PayUmoney dashboard for easy access and integration. 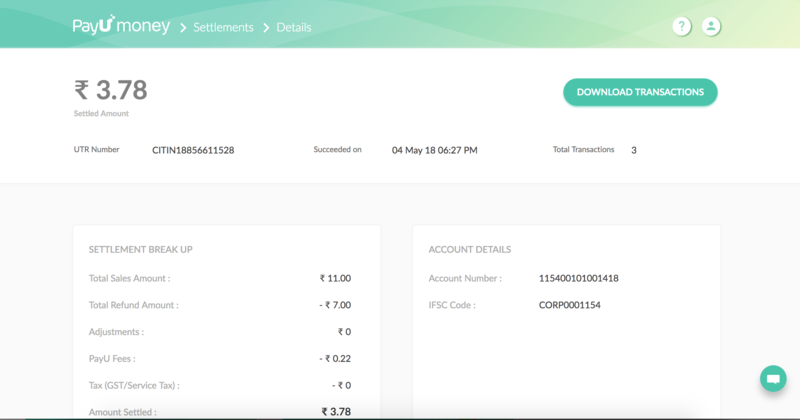 The PayUmoney payment button can be integrated on your website with a single line of code and be customized to your website’s user interface. 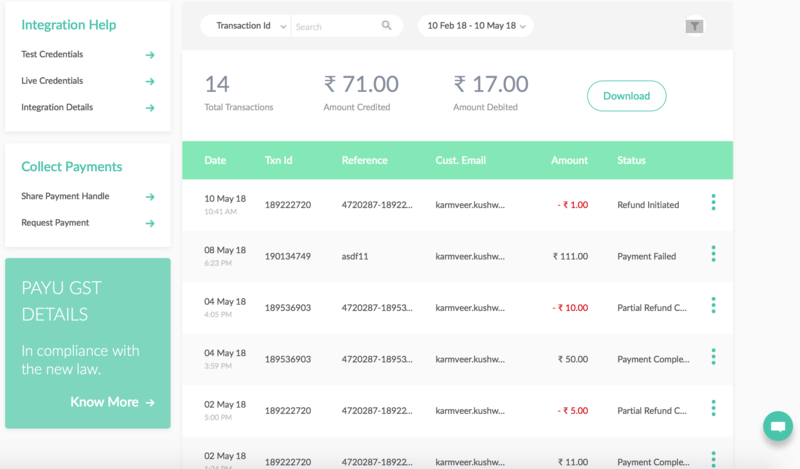 You can have a quick look at PayUmoney dashboard buttons video for more information. We are excited to empower our users with all these consistent enhancements and product updates by making online payment processing quick, simple and efficient for you! PayUmoney loves to stand tall and strong to help you at any give point of difficulty with our extensive and happy-to-help customer support. 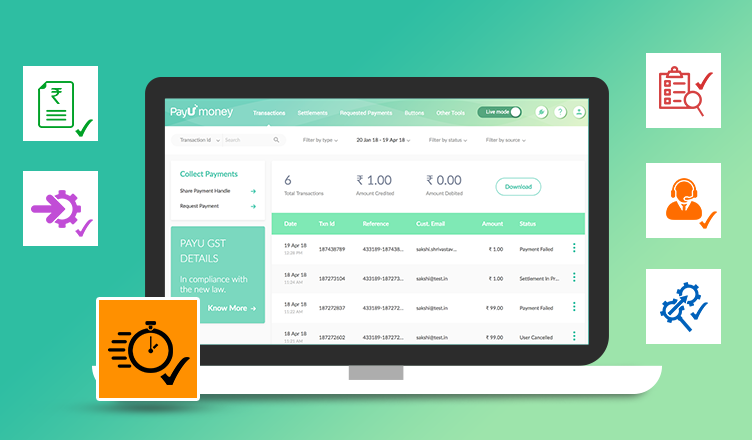 Explore the all new PayUmoney dashboard: login and start collecting payment seamlessly just like our 3.5 Lakh + online businesses do! Visit PayUmoney Youtube channel to know more about products and guides.